For some time now the gap between the popular church and academic theology, science and philosophy has been growing. This is a shame as a lot of really interesting and enlightening spiritual food is available for seekers and disciples, along with ideas and practices that can help us to broaden and deepen our faith. The Haven Benefice is moving forward with confidence in offering FREE opportunities for everyone to access this new material and share in the journey of mature belief. Books,videos, films, praying and mediation, the choice is yours. 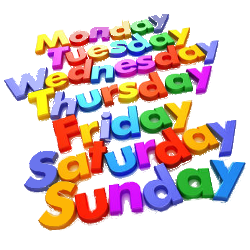 Please see our Service Calendar to ascertain which church on what day. A friendly and informal look at the readings for the coming Sunday. Contact Sylvia on 01983 612600 for more details. A prayer group meeting to share the concerns of the world near and far. Lay led on rotation, this is a gentle time of refreshment and fellowship. Open to all, just pop in. A short said service for quiet contemplation and fellowship. Using the ancient monastic practices of contemplation, this time of silent prayer for 30 minutes, followed by a time for sharing over coffee, is designed for those seeking to learn more about how to pray silently. Come and try the peaceful joy of mutual silence in the presence of God. The chosen film will be advertised by email, on this web site and in the pew sheets. After the film there will be a discussion and refreshments for those who wish to stay. There are always people available to talk to confidentially about your spiritual journey and concerns. Please call Ali for a chat in the first instance.